Album Review: RP Boo – I’ll Tell You What! If there’s one thing that footwork-heads can all safely agree on, it’s that RP Boo pretty much invented the entire genre. Dating back even as far as the 90s, RP Boo (real name Kavain Space) was making this insane offshoot of Chicago house loaded with frenzied and cluttered percussion, subterranean basslines, and unrelentingly choppy samples. It’s bizarre to hear a track like ‘Baby Come On’ now, 21 years after it was originally released, and know that RP Boo only quit his job at US hardware megachain Lowe’s in 2013; why was this incredibly talented and unique producer confined to Chicago all of those years? Planet Mu did everyone a favour in 2013 and brought his gyration-inducing collection of singles to the masses, and thankfully it seems like he’s here to stay. I’ll Tell You What! is his first collection of contemporary tracks for the label, after being unfairly confined to white labels and the streets of Chicago for most of the last two decades. What’s remarkable is the extreme clarity of vision that RP Boo has delivered throughout his career, and he doubles down on his trademark and singular soundscapes on this new LP. Even as a footwork layman, whose knowledge of the genre pretty much ends at DJ Paypal, it’s clear from the first track that RP Boo remains somewhat of a purist of the genre. Focusing largely on the compositional elements, the arrangements themselves remain sparse. There is a clear formula at play here, where the interactions between the samples and (largely unprocessed) drum machines bring a surprising amount of flow to an album that consists in a genre made up of mainly singles. RP Boo also seems intent on telling his own story in his own way on this album – many tracks are littered with cocky battle bars and self-aggrandisement (most of which are pretty hard to argue with), but some tracks reach for a form of clarity regarding his sudden rise to success after years languishing in the dark. ‘You Don’t Know’ is one particular track, with elegant and mournful piano samples, and on ‘Flight 1235’, Boo admits that “things ain’t been the same since I hopped the plane”, but judging by the joyous and titillating nature of the track it feels like he’s loving every second of it. I’ll Tell You What! is a fantastic entry point for newcomers to the footwork genre, and cements RP Boo as the godfather of the competition. I’LL TELL YOU WHAT! 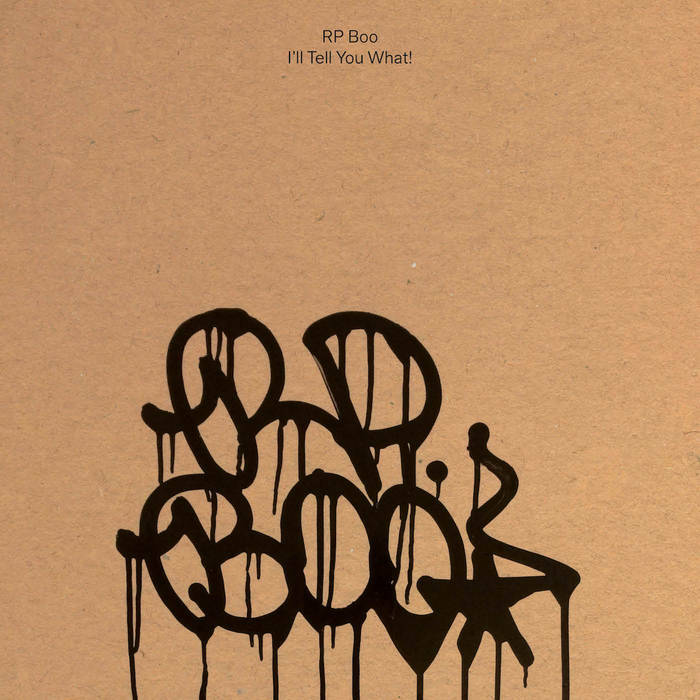 BY RP BOO IS OUT NOW VIA PLANET MU.